After spending their formative college years in big metropolitan areas, co-founders Kristen Hardy and Makda Fessahaye met as law students in Milwaukee. During law school, they often reminisced about the joys of "big city living," including the cities' knack of turning simple outings into grandiose events. After graduating and beginning her career in Milwaukee, Kristen devised a plan to mesh her love of food and the big city brunch scene with the comradeship of other professional women in relaxed, informal settings. As a Milwaukee-native and social butterfly, Makda collaborated with Kristen to flesh out the idea, ultimately founding Brunch of Professionals. A proud Michigander, Kristen enthusiastically made the transition to Milwaukee after graduating from Seton Hall University on the East Coast. Embracing this Midwest city as her new home, Kristen sought out ways to become more involved in the community, and in particular, with other professionals. Frustrated with the limited (and dated) options for building professional networks, Brunch of Professionals was born. Kristen is the current president of the Wisconsin Association of African-American Lawyers, one of the state’s oldest and largest minority bar associations. She also holds board positions for the Young Lawyers’ Division of the State Bar of Wisconsin and LOTUS Legal Clinic. Additionally, Kristen is a frequent volunteer lawyer at pro bono clinics in the Milwaukee-area, serves as an adjunct professor at her law school alma mater, and has regularly spoken nationally on issues related to her practice area. 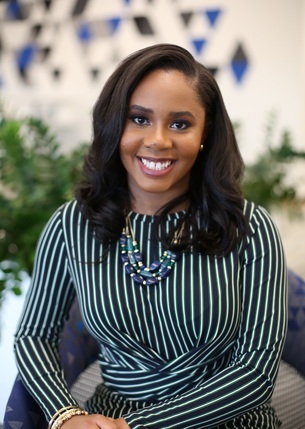 Kristen was the recipient of the National Summit of Black Women Lawyers Emerging Leader Award in 2017 and named to the Marquette University Law School’s Rising Star list in 2018. In 2019, she was named as one of Milwaukee Business Journal’s 40 Under 40 honorees. As a self-proclaimed amateur chef and dinner host extraordinaire, Kristen's love of well-executed functions comes second only to her drive for professional success. Realizing how difficult the transition to a new place can be, Kristen developed Brunch of Professionals in hopes of helping Milwaukee newcomers feel welcomed, connected, and supported. Returning home to Milwaukee after graduating from Northwestern University, Makda was hesitant of what her hometown could offer her as a young adult. Unbeknownst to her, she would soon fall back in love with Milwaukee's gems and take pride in its rapid transformation. For Makda, Brunch of Professionals is one way of adding to the city's evolution. Currently, Makda sits on the board of directors for the Wisconsin Association of African-American Lawyers, serves on the State Bar of Wisconsin's Leadership Development Committee, and is a Volunteer Attorney for Madison's Unemployment Appeals Clinic. Outside of the legal profession, Makda serves as a music minister at her church, is a member of the Milwaukee Urban League Young Professionals, Women in Focus, Inc. , and the NAACP of Dane County. In 2017, Makda was honored by The Business Forum at the 10th Annual ATHENA Young Professionals Awards. Marquette University Law School named her a Rising Star in 2018. For Makda, Brunch of Professionals provides an avenue for those starting and building their careers in Milwaukee to (re)discover the gems of the city, expanding their network, investing in and supporting the community, and cultivating long lasting relationships with those around them.